Are you a study abroad professional? Are you looking for like-minded professionals who share the same challenges and frustrations as you do? Are you wondering where you can turn for some solid advice and guidance to make your institution’s study abroad programs high-quality learning experiences for your students? Ever heard of The Forum? The Forum on Education Abroad is a nifty organization, first conceived in San Diego, California, in May 2000, by a group of education abroad professionals who felt the need for a stand-alone organization. At that time, there were study abroad programs at numerous educational institutions, yet nothing existed in terms of standardization of policies and practices. Essentially, each program was on its own, and its quality was as good as the director of the program was able to make it, given the knowledge and resources available. From its inception, standards of good practice for education abroad have been a priority for The Forum. Beginning in November of 2002, they began to lead the development of a set of standards. They used a distinctive approach: they structured the Standards by stating each Standard, followed by a set of questions designed to be used for assessment of that Standard. 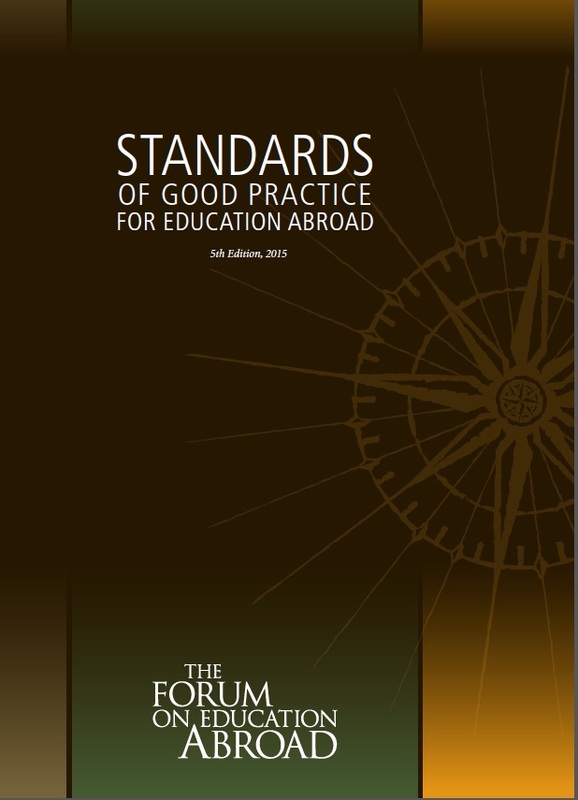 The first formal edition of the Standards of Good Practice for Education Abroad was published in November 2004. Among the variety of resources and training opportunities The Forum offers for its members and the public, a “must have” for every study abroad office is the recently published Standards of Good Practice for Education Abroad, 5th edition, 2015. This document offers authoritative and comprehensive guidelines for the development, management, assessment, and improvement of education abroad programming, in order to make students’ experiences as rewarding and meaningful as possible. 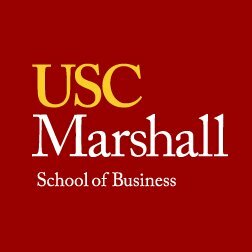 If you are a study abroad professional and are not familiar with this resource, please take a look. You will be doing yourself, your institution, and your students a big favor. As we have discussed before in this blog, meaningful intercultural experiences arise not just from being in the vicinity of an event, but from the meaning we give to those events. If we are to truly offer high-quality study abroad programs, we need to consider the pre-departure preparation, the on-going support during the time abroad, and the integration of the international experience into the life of the a student upon return home. Standards explores all these areas and more. Forum members have exclusive access to additional resources related to each Standard. Cultural Detective salutes the work of The Forum and its ongoing efforts to promote cultural competence through well-run, ethical, study abroad programs! Cultural Detective Method and materials integrate seamlessly into all stages of study abroad—pre-departure, on-going support, and reentry— helping students to make sense of and integrate their experience. 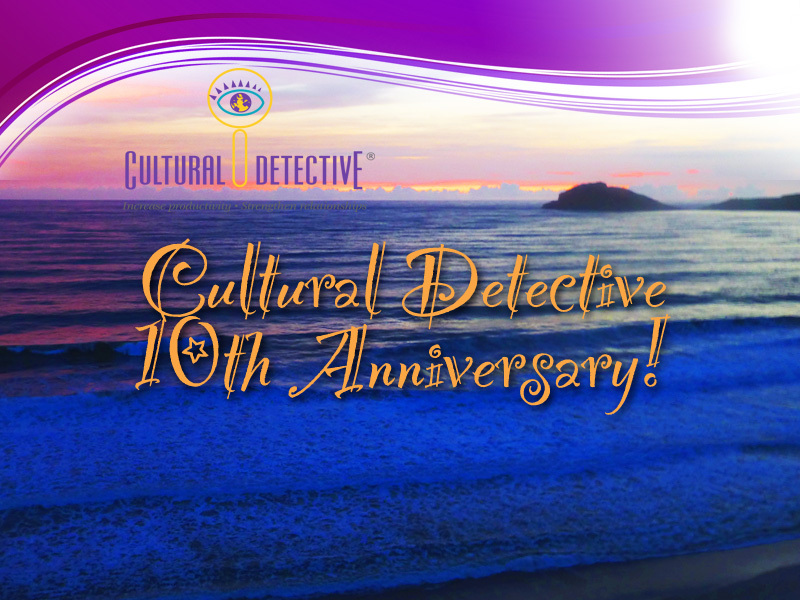 10th Anniversary of Cultural Detective! Do you know that 2014 is Cultural Detective‘s 10th anniversary year? It’s also the 25th anniversary of my company—Nipporica Associates, and the 35th anniversary of my work in the intercultural field! Help us celebrate! Show our authors some love! Send us a greeting and win a one-year subscription to Cultural Detective Online. 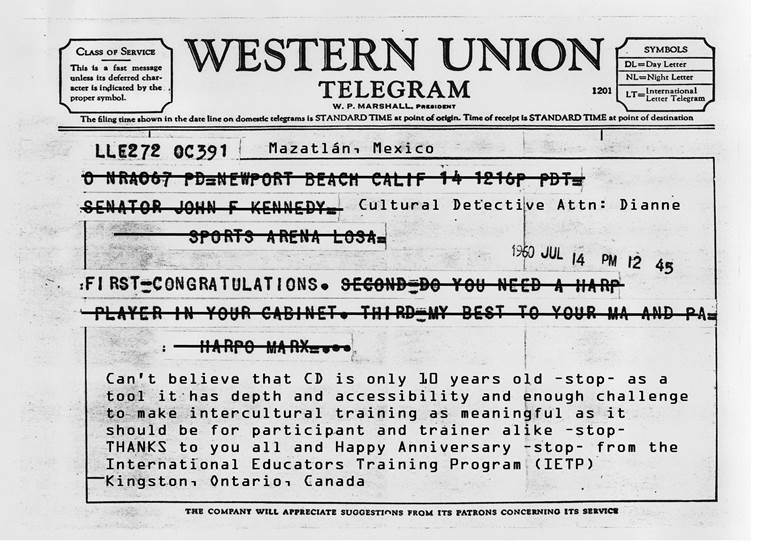 The Cultural Detective Worksheet was born back in the early 1980s in Japan, emerging out of the need for a real-time multicultural conflict resolution tool. The Values Lenses came shortly thereafter—what are today termed “negative perceptions” were then called “the dark side,” echoing the Star Wars popularity of the day. I used Cultural Detective tools in my proprietary work for about ten years with enormous success. Then, around 2002, Shell Oil began saying that Cultural Detective gave them the most highly rated global management training they’d ever experienced—from Nigeria to Malaysia, The Hague to Houston. They told us they wanted us to develop packages for every country in which they did business. While I envisioned nothing so ambitious, I did ask ten of my most esteemed colleagues to develop five “test packages”—Cultural Detectives England, Germany, Japan, Sweden and USA. They were so enthused about this Method and material that more and more admired colleagues asked if they could author packages. Today, the Cultural Detective series includes 65 packages (with several more to be released in the next few months) and an online subscription service. Our vision was to provide theoretically sound, practical development tools, easy for the lay person to use, effective for beginners and experienced interculturalists, at accessible prices. Our goal was to help build respect, understanding, justice, collaboration and sustainability in this world of ours. Bless you for accompanying us on this journey thus far! Thank you so much, to all our authors, our customers, certified facilitators, users, colleagues and friends! What a grand adventure it has been! Growing faster than we ever imagined possible, and building intercultural competence in areas we never dared dream of: spiritual communities, universities and study abroad programs, professional associations, NGOs, governments, and business. Over the last ten years, the Cultural Detective Method as been refined, deepened, and broadened—thanks to all of you! A group of Cultural Detective authors will gather this month—February 2014—in Mazatlán, México to celebrate the project’s 10th anniversary. Other authors are planning events in their locations around the world to commemorate this auspicious occasion. We have started to receive greetings, and I thought you would enjoy seeing a few of them. I’ll post a selection below. Would you like to get in on the action? Share your greetings? Thank our authoring team? Thank the person who first introduced you to CD? How about if we make it fun?! Share your greeting with us, and the authors of our favorite submissions will receive a complimentary ONE YEAR SUBSCRIPTION to Cultural Detective Online! How to enter? Record a video and upload it to YouTube, then send the url to ten@culturaldetective.com. Alternatively, you can send a photo greeting to that same address. Here’s the first photo we’ve received. 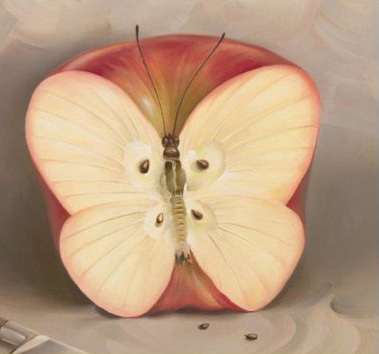 It’s a good one, don’t you think? Many thanks to our partners at the International Educators Training Program, Queens University, Canada. Come on, join in the celebration! Your greeting can be as short as you like, funny or serious. We’d love to hear what Cultural Detective means to you, what difference it’s made for you, what impact it’s had on the field. Perhaps you can share a funny story of cross-cultural miscommunication, or share your success—a Cultural Defective or Cultural Effective! We can’t wait! If this series has meant something to you, please take a moment to let us know. Send your entries by March 15th, 2014. We will contact the winners by email with instructions on how to redeem their prize of a full year’s access to all the content in CD Online, to use on their own or with their students. We can’t wait to receive your message! Microsoft uses Cultural Detective to coach their international support engineers. The first year they used it, they attributed a 30% increase in customer satisfaction directly to Cultural Detective. The Culture and Communication Program staff is truly inspiring. In the clip below, Shalini Thomas shares her greetings with the Cultural Detective community. The Intercultural Development Research Institute (IDRI) is committed to longer-term, sustained development of intercultural competence. Their motto is “coherent theory generates powerful practice.” Thus, it means a lot to me when the co-founder of that Institute, Milton Bennett, says Cultural Detective is a tool that truly translates theory into practice and carries on the heritage of the founders of the intercultural field. I met Milton back in 1982, at the Stanford Institute for Intercultural Communication (SIIC). The last greeting I’ll share with you here comes from another customer, Atieh International, specialists in emerging and risky markets. “The world of today comes filled with new opportunities hidden in a sea of uncertainty and risk. It is our job to assist our clients to understand and be prepared for the tides and waves, the ebbs and flows in each market, to appreciate the beauty and depth of cultures and diversity and to build sustainable strategies founded on reliable intelligence and trust.” We are privileged to be associated with them. Managing Partner Pari Namazie shares her remarks, below. Please block some time now to make or record your greeting and send it to us! We are looking forward to hearing from you, and we would especially love to share a gift subscription with you! Our authors work hard, not to pursue monetary wealth, but impassioned by a commitment to the vision of everybody having a voice, sharing their gifts, and realizing their potential. Let them know they have made a difference! We will post the video greetings we receive to the playlist below. Take a look at those we have so far, including greetings from CIEE, Korn Ferry, and EDS. They are very heartening to watch! We look forward to hearing from you! Cultural Detective Online is LIVE!!!!!!!! Cultural Detective is proud to announce the new product launch of Cultural Detective Online! This tool is like having a virtual coach in your back pocket, successfully guiding you through the all-too-common missteps of cross-cultural negotiations and communications. Please check out the four videos on the home page. Today only (15-16 October, depending where you are on the planet) there is a 25% launch discount; enter promo code: CDO-blog25 during checkout. Huge thanks goes out to each of you who have worked with and incorporated the Cultural Detective Method into work with your clients or employee populations globally, as over the past eight years this tool has become a significant contribution to the intercultural field. Because of our clients and team, Cultural Detective has become globally recognized as one of the premier developmental tools of our time. Now we are on the cusp of very exciting and broader use of the tool through Cultural Detective Online! This new product launch furthers our mission of encouraging communities globally to prosper through intercultural understanding and collaboration. Cultural Detective Online is useful in a broad range of contexts including global business negotiations and multicultural team effectiveness, international assignments and study abroad, and for successfully communicating within our families and communities, and within and across faith traditions. A subscription to Cultural Detective Online offers the opportunity to explore the concepts of “culture” and “values” and how they impact communication in everyday life. It provides access to dozens of culture-specific Values Lenses and topic-specific Challenges Lenses, hundreds of real world cross-cultural incidents, and the easy-to-use Cultural Detective process for improving the ability to collaborate successfully across cultures, both on individual and organizational levels. We are excited to announce that subscriptions are now available for individuals or groups, and we invite you to subscribe to Cultural Detective Online today by visiting http://www.culturaldetective.com/cdonline/ ! Subscriptions start at less than US$100/year, and are less for larger groups of subscribers. You will rarely find more value for your money. Quite a few of the world’s leading study abroad organizations rely on Cultural Detective. They tell us it’s invaluable to their students’ success. That’s why we are very excited to SOON be able to offer you the Cultural Detective product line as an integrated, online system rather than as stand-alone packages! And, better yet, it’s designed as a personal coach, encouraging your students and staff to track their goals, summarize and apply their learning, and upload, debrief and share with a teacher or counselor their daily life experiences (and the meaning they are making from them).